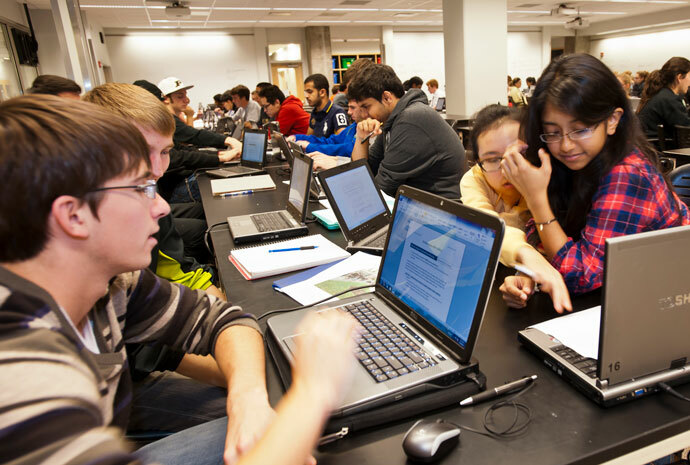 Use this page to understand requirements for admission into any of Purdue's engineering disciplines (degree programs). Prior to applying, review the closed programs page to confirm that your desired engineering program is available to transfer students. Carefully review the admission requirements below. There are specific course requirements to transfer into any Purdue engineering discipline as well as discipline-specific GPA requirements. Purdue regional campuses and some other Indiana universities offer courses that meet the course requirements necessary for admission to specific engineering disciplines. If you're enrolled at one of these institutions, use this list of equivalencies to plan your curriculum. Admission to first-year engineering is closed to transfer students. You must meet the minimum GPA for your desired program, listed on the Minimum GPA tab. Because of capacity, some engineering programs are closed to transfers. Closed programs are noted among the GPA requirements and on the closed programs web page. When a Purdue course number is listed, the transfer coursework must be equivalent. Use the online transfer credit course equivalency guide to check equivalencies. In-progress courses may be included in the credit count. Admissions may request a final transcript for the current semester before making an admission decision and a final, official transcript is required prior to enrollment. If you're transferring from a public university in Indiana, you may use this list of equivalencies to identify courses that may be available at your institution. Courses equivalent to ENGR 10000 and ENGR 12600 may be substituted for ENGR 13100 and ENGR 13200. Descriptions of Purdue courses are available on the University Catalog website. The following coursework is recommended (in addition to the required coursework listed above) to complete the minimum 24 credits required to transfer to an Engineering degree program. *Courses equivalent to ENGR 10000 and ENGR 12600 may be substituted for ENGR 13100 and ENGR 13200. Biomedical: 3.7 GPA Application will not be reviewed until you contact the BME advising office and receive a plan of study approval. Email: WeldonBMEUndergrad@purdue.edu using "transfer student plan of study review" in the subject line or call 765-494-2995. Interdisciplinary (IDES): 2.5. In addition, all required coursework listed above must be met, AND students must have completed items No. 4 and 5 from the recommended coursework listed above (ENGR 13100 and 13200). Multidisciplinary (MDE): 2.5. In addition, all required coursework listed above must be met, AND students must have completed items No. 4 and 5 from the recommended coursework listed above (ENGR 13100 and 13200). Also, MDE applicants must include a student statement of interests (no more than one page), explaining why MDE is their chosen pathway and which MDE concentration they are interested in.